This page describes steps to get started with DTP 0.7 through 1.0 streams. 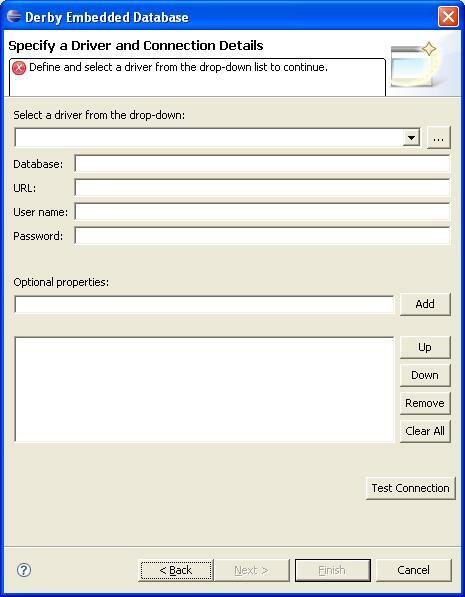 We assume that you have installed the appropriate version of the Eclipse platform, EMF and GEF as described on the DTP download page for your specific DTP build. 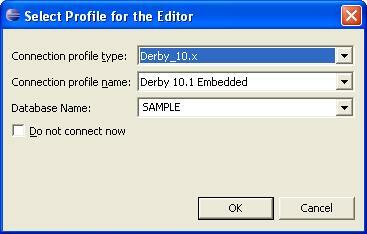 We also assume that you have downloaded Apache Derby version 10.x, and are generally familiar with it. 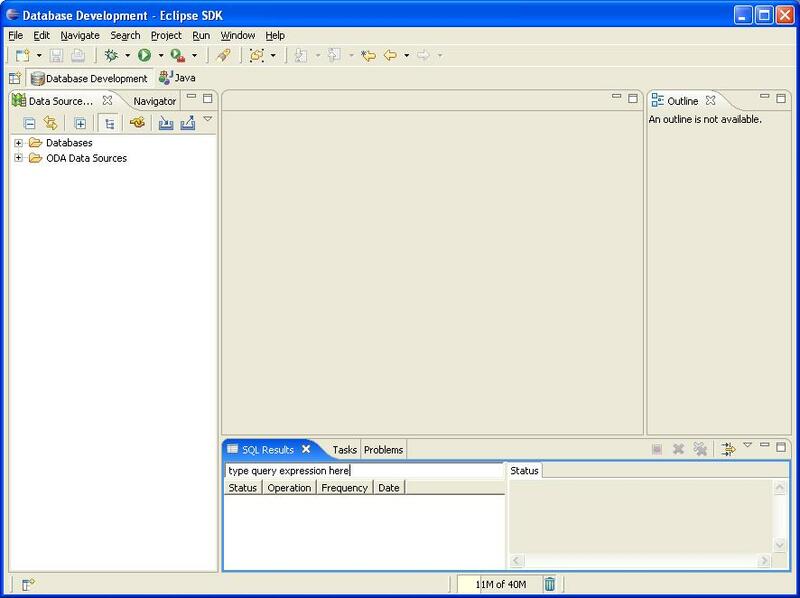 Finally, we assume that you are familiar with using Eclipse features such as preference pages, editors, views, and so on. While DTP is not solely about databases, we have used relational databases as our primary set of examples through 1.0. Further, we have selected Apache Derby as our sample database. 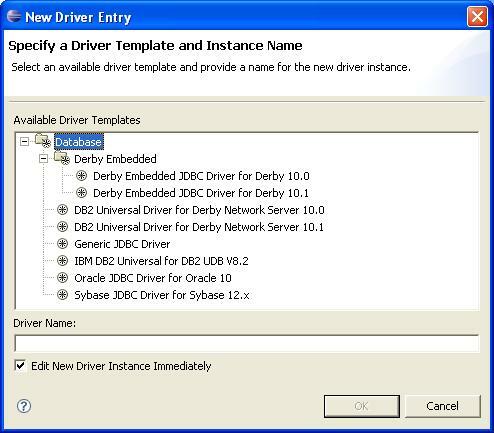 Therefore, this guide will show the basic steps required for connecting to, and working with, Apache Derby using DTP. 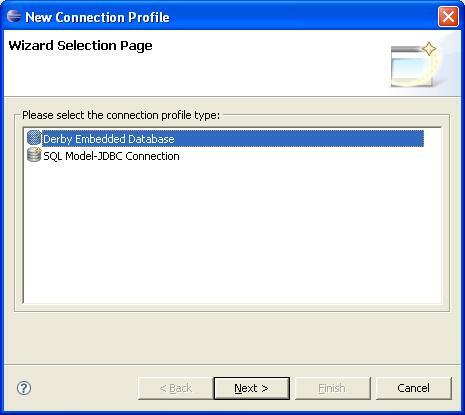 The following are the essential steps for connecting to Apache Derby using DTP. 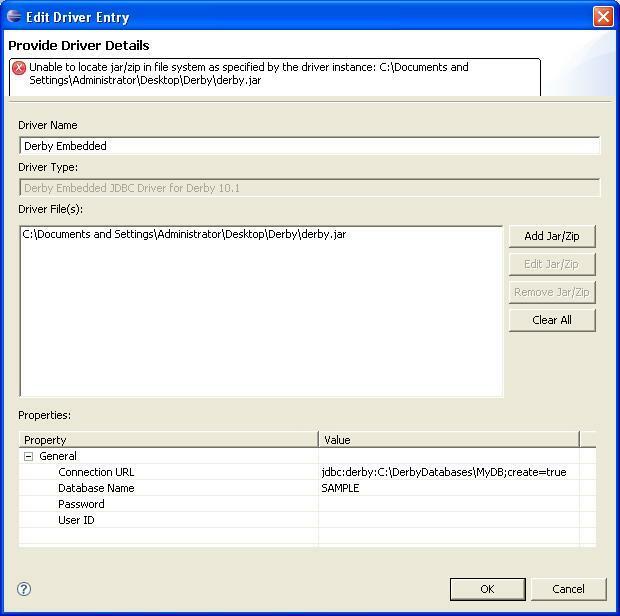 Clear the sample derby.jar location and point to the correct one for your Apache Derby install. An embedded Apache Derby database doesn't require a user name or password, so those properties can be left blank. You might want to alter the url to point to another location for the embedded database. 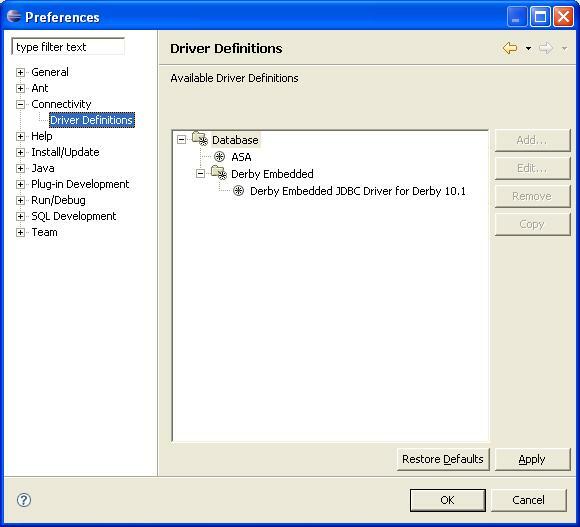 Drop the combo box and choose the Apache Derby driver definition that you previously created, and click on Finish. The connection profile has now been created. and selecting Execute All from the editor's context menu. 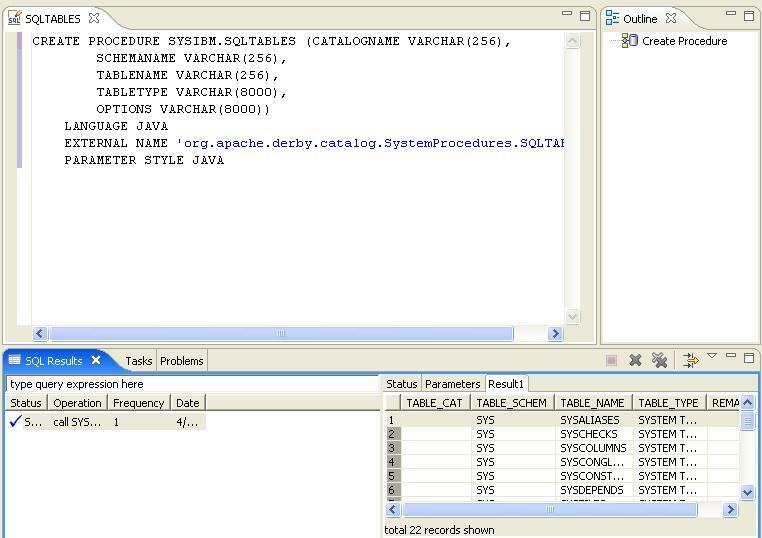 The results of the query will then appear in the SQL Results view. Notice that there is a lefthand pane in the SQL Results view. This is the execution history. 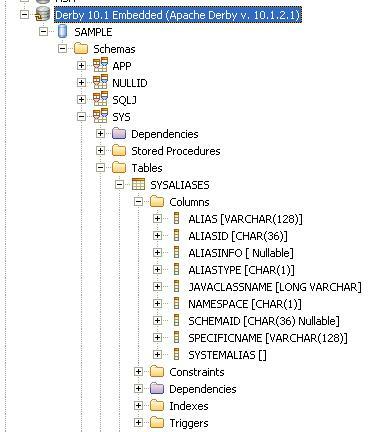 For each statements (including stored procedures) that you execute, an entry and Eclipse launch configuration is added. This lets you quickly retest the execution, perhaps with slighly different values or settings (see the launch configuration dialog). As is standard with Eclipse launch configurations, you can rename or delete them as you wish. While this guide only scratches the surface of DTP frameworks and tools, we believe that it will give you enough familarity with DTP to continue exploring it on your own. Please feel free to engage the DTP team with bug reports, feature requests, and general comments, since the strength of DTP depends on involvement from the community to a large extent. This page was last modified 19:24, 2 June 2011 by Mark Storer. Based on work by Daniel Spiewak, Remy Chi Jian Suen and John Graham and others.